In a Dual Rectifier, 1uF capacitors are connected to the cathode. Via an LDR or resistor to GND. 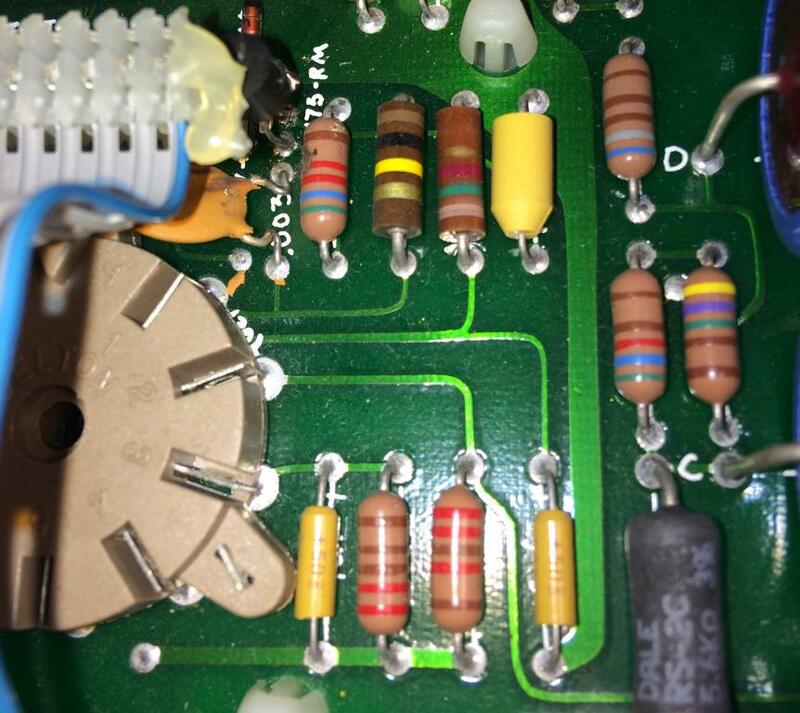 But when I look at the PCB these are not ordinary electrolyte capacitors, but yellow capacitors that look very similar to the construction of a resistor. The + side seems to be a bit tapered. See image below. Picture is not from the DR, but from another Mesa. But it only concerns the type of capacitor. Someone any idea what type of capacitor this is, and what the advantage is, compared to an electrolyte capacitor. Last edited by Ricotjuh on 13 Jan 2019, 00:22, edited 1 time in total. Looks like tantalum axial capacitor. Exactly. Check this - 1u tantalum axial cap. They last for a long time vs electrolydics, dirt cheap, fail obviously and are generally more compact - reasons why Mesa uses them. Actually, they have a higher failure rate than electrolytics, all of the data suggests. One of the possible reasons for using them is distortion. When placed on signal path, they tend to introduce non-linearities, the sonic signature of which is very much respected in both pro-audio (Rupert Neve) and guitar-based audio (Tube Screamer, Rat).